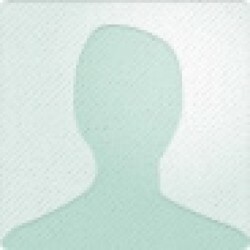 Valuable research here, though I agree with another reviewer that it’s best read in conjunction with other books on U.S. history and race relations (particularly those regarding overarching, oppressive structural changes: a proliferation of racist laws and the growing prison system, for example, or trends in urbanization and employment) after the Civil War. Loewen’s reasons for disintegrating race relations from 1890 onward are absolutely valid, but they feel incomplete. While the sundown towns were an undeniable – and underexplored – part of this disintegration, they’re an example of a much larger sickness. Part of the issue is the sheer difficulty of editing and organizing such a vast amount of research, but Loewen uses enough examples and empirical data to show that the sundown towns were indeed a nationwide presence. 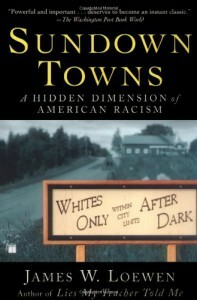 Much of the data is anecdotal, though credible, and the research is understandably incomplete; the task of exploring the racial history of every town across the U.S. is beyond the scope of one person and one text (Loewen encourages readers to research their own towns for themselves and send their findings to his website: http://sundown.afro.illinois.edu/sundowntowns.php), and many towns’ “whites-only” policies were never officially codified. It certainly made me wonder about my hometown, especially as some of the neighboring towns do have lingering bad reputations (to be fair, a few were notable—surprisingly—for their efforts toward equality, though I came across that information in books specifically related to Ohio). Overall, it’s well worth a read; it gives some great insight into the history and current mentality of some of these small towns and suburbs (the ones some people currently refer to as “the real America,” I believe), and some of the information here is truly shocking. It definitely prompted me to look further into things I’d vaguely questioned but never really explored about places I’ve lived; I expected a dicey history in small-town Northeast Ohio, for example, but have been unpleasantly surprised the more I've researched Oregon, one of the most historically exclusionary states. It’s astonishing how little we – me included – know about our recent history.